WhatsApp offers users safe and convenient messaging service, which enables it to be popular all over the world. After Facebook bought WhatsApp, many users are worried about the personal data sharing on Facebook, so many of them begin to switch to other messaging apps like WhatsApp. This tutorial will show you several popular and secure WhatsApp alternatives for you. You can go through this article to find your favorite best messaging app like WhatsApp for your phone. Kik is one great alternative to WhatsApp, which is made use of by users from around the world as well. It is easy fro users to connect with friends, stay in the loop, and explore – all through chat. 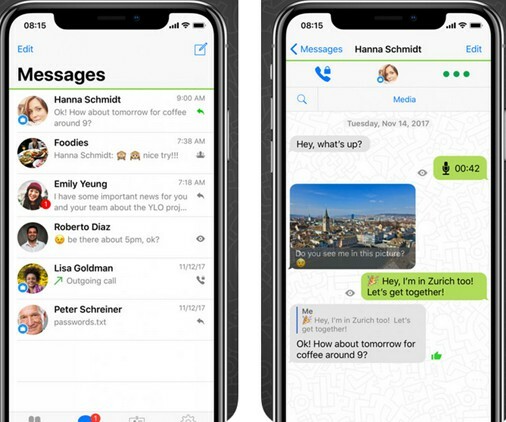 Although both WhatsApp and Kik are instant messaging applications, they are distinguished from each other because of their regular innovations and updates. A brief comparison on Kik vs WhatsApp is shown below for you to check out. Free chat apps like WhatsApp have become one hot topic of towns in recent years. 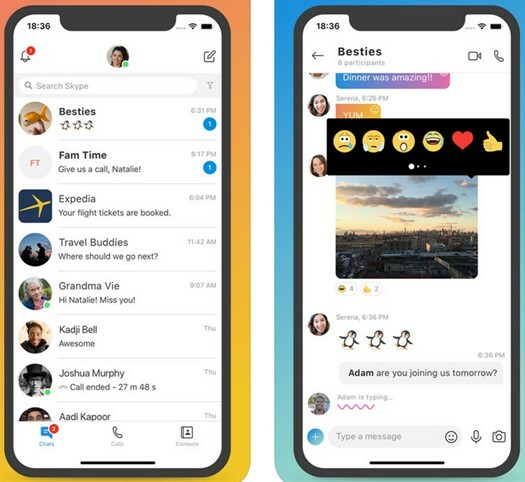 People from young to old ages rely on their messaging tools to a great degree, for these applications assist them to contact the whole world especially their friends, colleagues and family members conveniently. I am going to share you 4 best WhatsApp alternatives in case you want to switch the messaging app. Skype is one of the WhatsApp related apps, which full-fledged telecommunication program. Users can use it to do a wide range of things, specializing in video and voice chats between multiple devices, including the Xbox console, courtesy of Microsoft. Threema has great feature on data protection, which promises users the complete privacy. 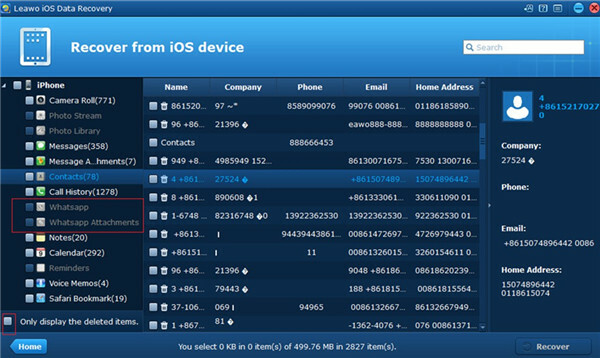 It enables the contact lists and group information to be stored only on the phones of users. 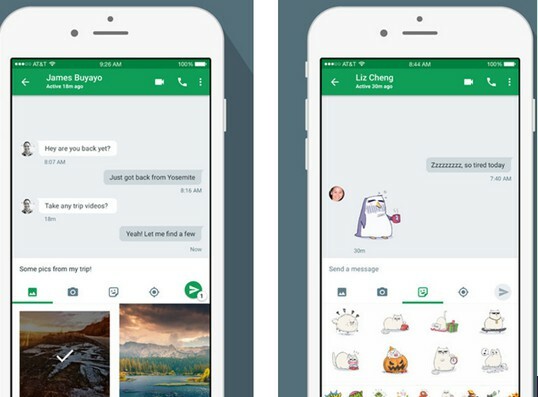 Hangouts has become one great appeal in the world of messaging. It offers users the cross-platform service, allowing the exchange of text messages, images, videos, and etc. 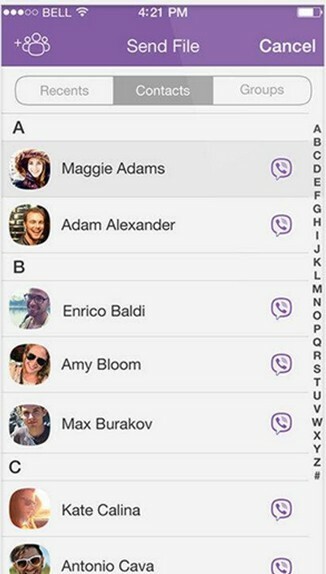 Viber offers calls, messages, pictures, and location sharing facilities free of charge to all over the world. It can integrate with the contact list, which has no requirement of registration. All these alternatives are amazing, and you can choose the one that is suitable for you to use on phones according to your own demands. Before you switch WhatsApp to Kik or other alternative chat applications, you may desire to backup the files and attachment on WhatsApp for later use. Many users have not tried this process, for they do not know how to make it. Actually, to achieve this aim, you need a third-party tool. 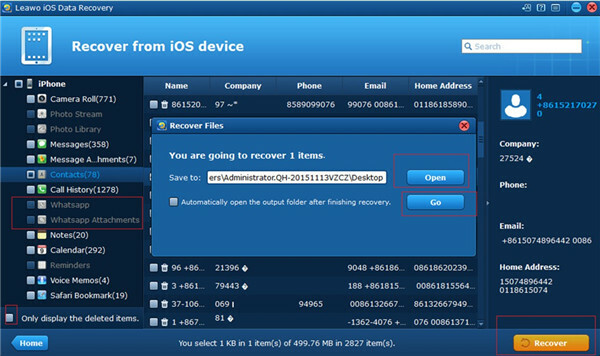 Here I would like to recommend you use Leawo iOS Data Recovery , which can assist you to retrieve various kinds of files on iOS devices, such as messages, videos, apps, songs and etc. It is very useful and easy to handle. The following guidance will instruct you to reach the backup target successfully. Open the software and then select "Recover from iOS Devices". Connect iPhone with PC via proper USB cable. 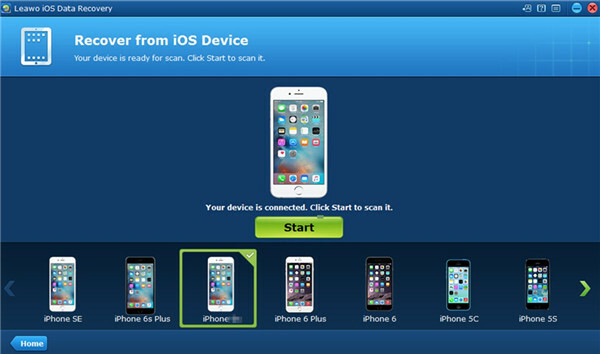 The program will begin to detect your iOS device automatically. When you see diverse categories on the left sidebar, you need to click on "Whatsapp" and "WhatsApp Attachment" to check the files you need to transfer to computer. Afterwards, you need to hit the button of "Recover" at the bottom right of the interface. A panel will show up, and you need to hit "Open" button to set a proper folder on computer to save the exported files. Click "Go" button when the location is set well to start recovering WhatsApp from iPhone directly. When this procedure is over, you can view the WhatsApp files on computer with no efforts. Thus, you can switch to WhatsApp alternative tool without any worry. Leawo iOS Data Recovery has accompanied me for years. I have recommended this great tool to many of my friends, and they appreciate this recommendation very much, for this software has become a wonderful tool to assist them to recover files in case they need. You can head to the official website of this program to download and install on computer to give it a go. You will never be regret owning this powerful application.